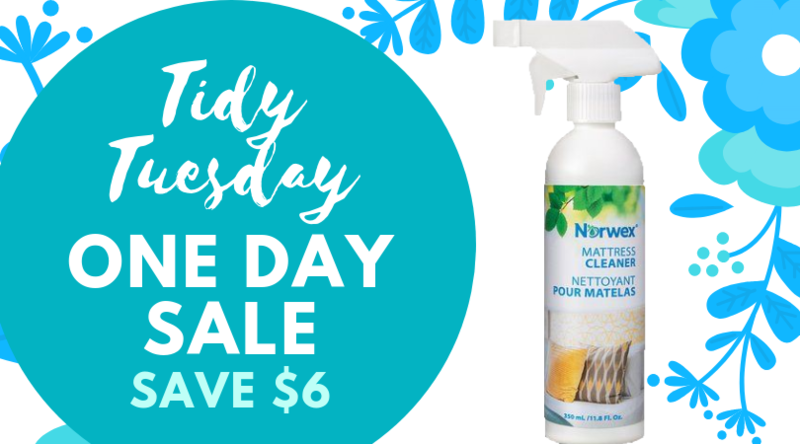 Today only you can save $6 on the Norwex Mattress Cleaner. That’s over a 20% savings!! The Mattress Cleaner is one of the top-selling products, and with good reason. It works like a miracle! Every night we lay on our mattresses and sweat and shed skin. We also bring in dirt and dust, and our mattresses slowly begin to hold onto all of this material. On average, people keep their mattresses for around 10 years. That’s 10 years of your mattress collecting grime and dust, without ever being washed. 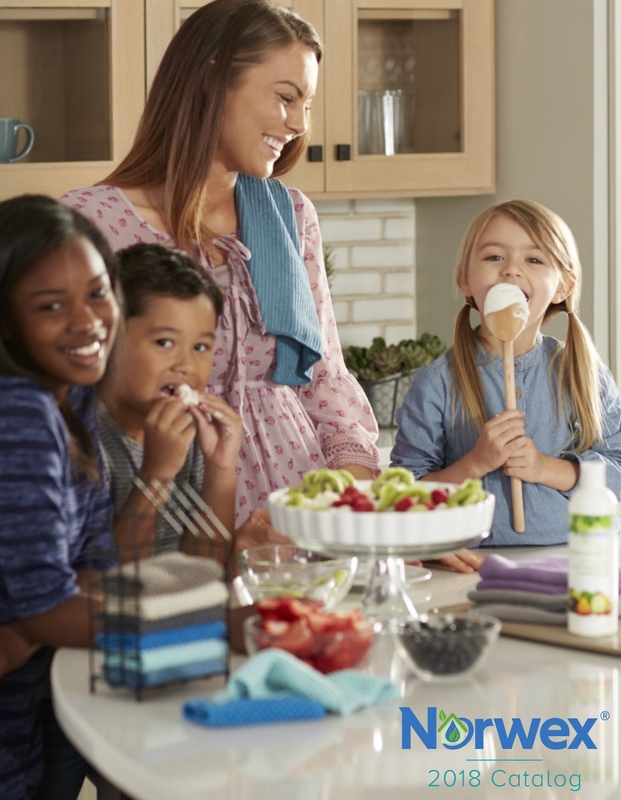 The Norwex Mattress Cleaner has a unique enzyme-based formula that’s designed to break down and remove organic material. All you do is just spray the cleaner all over your mattress, and let it air out for a few hours! You only have to use it 2-3 times a year. This product is always one of my favorites to show because you can literally see the mattress shrinking before your eyes after putting the cleaner on. It is also great for getting the urine smell/stains out of beds and picking up pet dander. For allergy sufferers, this product can be life-changing. Many people don’t realize how much dust mites, bacteria, and dander are harbored in our mattresses. Organic waste can make allergies much worse, and can even cause snoring. I love hearing success stories from my customers who have had relieved symptoms after using the Norwex Mattress Cleaner! You can also use the Mattress Cleaner for pillows, mattress toppers, stuffed animals, car seats, pet beds, or anything that harbors organic waste! 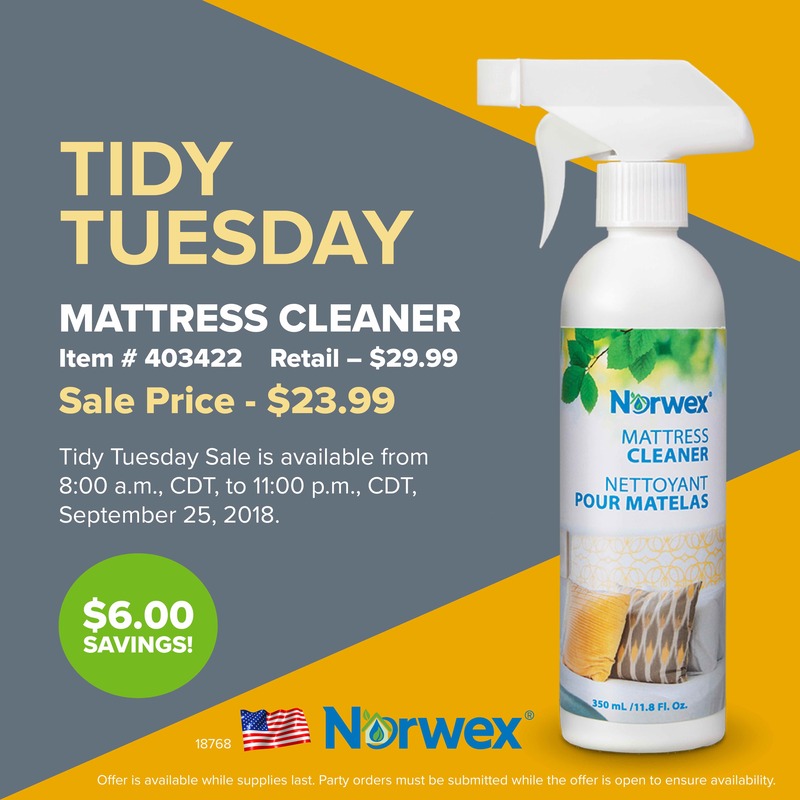 Take advantage of this limited-time deal and order your very own Norwex Mattress Cleaner by 11 P.M., CDT, tonight!